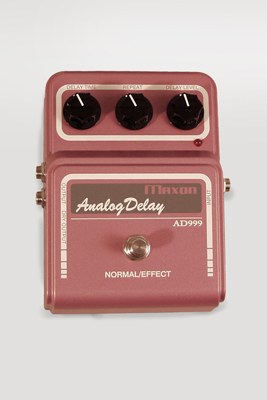 Maxon AD999 Model Analog Delay Effect, c. 2011, made in Japan. Comes with AC2110N 9 volt DC Power supply. Height is 6 in. (15.2 cm. ), 4 1/2 in. (11.4 cm.) width, and 2 1/4 in. (5.7 cm.) deep. New Condition.